Today with the help of this post i would like to share an wonderful topic which is based on Top 5 high paying websites for guest authors or bloggers. If you are skilled freelancer and wants to earn money than you can easily get paid on these sites. Try to be little bit unique and skillful writer. Sign up for these sites and fill your per forma, a short description about yourself and join there staff. You can submit your article on Adobe Photoshop and make money. PPC, CPM And Google Adsense are the traditional things to earn money from your blog/ website but if you are an good freelancer than you doesn't want any site. 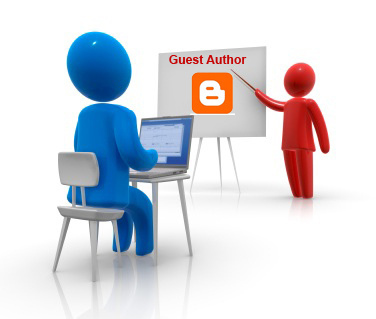 Guest blogging is the best way to earn huge traffic for your site and blog. Also it helps to get page rank for our blog. It is a Programming Developers website.It mainly focused on web design, web programming, internet marketing and web hosting. First you have to sign up for submitting your content. $30-$50 per List Based Article. Your article and tutorials must be unique and not copied from any other blog. It only accept the content which is based on Photoshop. If you have skills to write on Photoshop tutorials or you can write interesting and useful posts about design like on graphic design, web design, photography etc than they are welcoming you. You can also learn Adobe Photoshop techniques. It pays up to 70$ and 30-50$ for article about designing. The CEO and Editor of this website is Stacy Johnson. Production Director is Aaron Freeman. Executive Producer and Writer is Trisha Sherven. Get Money up to 50$ for your article. The CEO is Michael Martin. Its a website about web-website designing and coding. $100 – All list posts, and any tutorial/article on a relatively basic topic. $125 – All posts on more complicated topics, or with deeper explanations. It usually pay $150 per article/tutorial. If you have an sufficient good knowledge of Maya, Adobe After Effect, 3D and Photoshop than you can easily accepted by this site. *Tutorial must be your original work and not published on any other site..
*It will not accept submissions that are posted elsewhere, or resemble content posted elsewhere. *You may not republish the content posted on Tutorialboard.net on any other website. *You must have a PayPal account.